This'll be fun - for me at least. 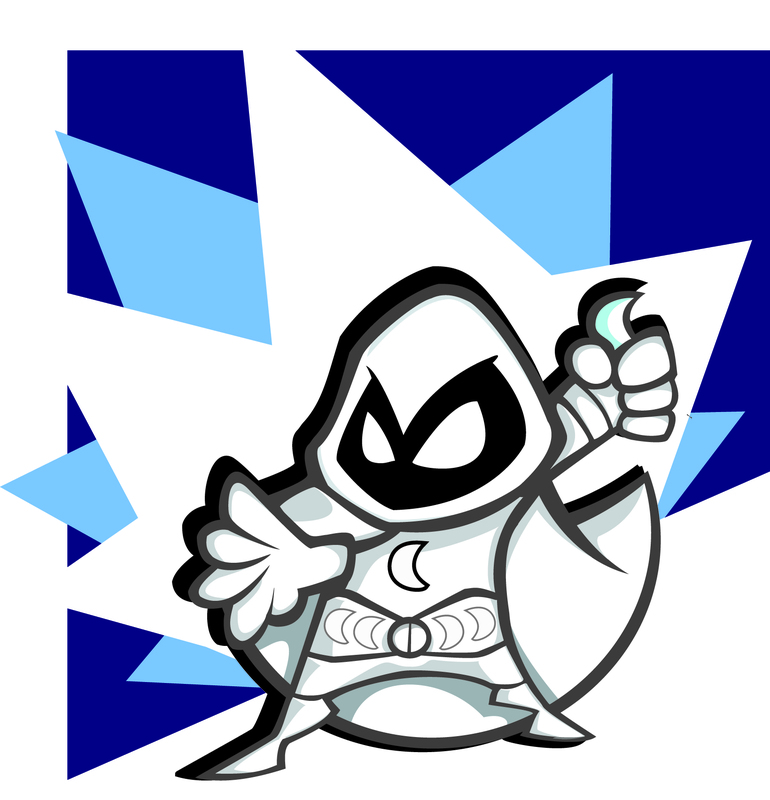 We'll start off with the SOTD from last week: Moon Knight. Next, we'll begin cleanup in Adobe Illustrator. If I have the good sense to erase most of my errant lines, clean us is relatively easy. If I don't, it takes forever. 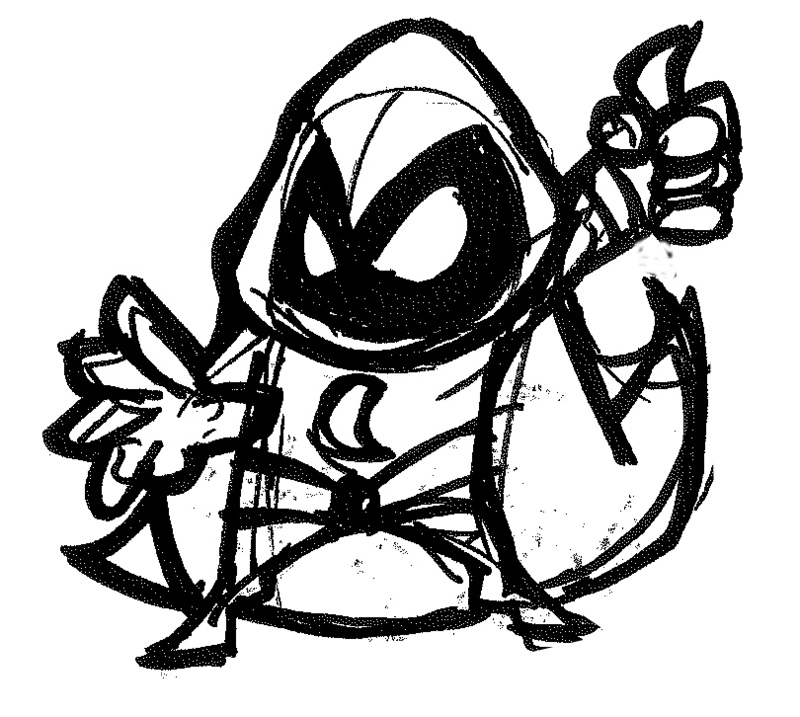 It is also during the clean up phase that I begin to figure out what I do and don't like about the pose. And since I'm open to happy accidents, erasing a line here or there usually works in my favor. Here in figure 2 you'll see the tweaking process about halfway through. I've already decided on a background, so it's complete. The cape is going to get its own layer so it's gone for now. Now, here's where all my time went. I had already dropped in a fair amount of shadows when I decided that I HATED the feet. I mean really, how do you make someone appear knock-kneed AND bowlegged at the same time? That done, I finally finished clean up and added a couple of details. Overall, I like it....otherwise I'd be doing it still.